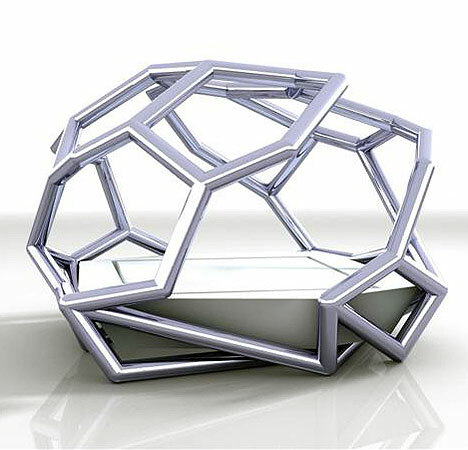 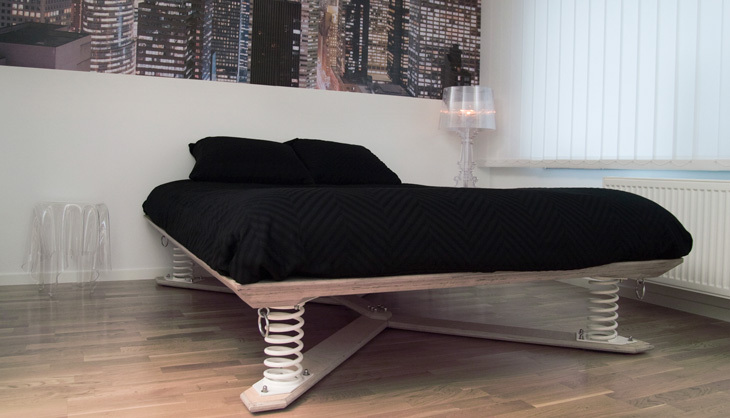 Collection of ‘Cool and Unusual Bed Designs' from all over the world. Hamburger Bed: Creation of Kayla Kromer, this creative bed looks like a huge hamburger. 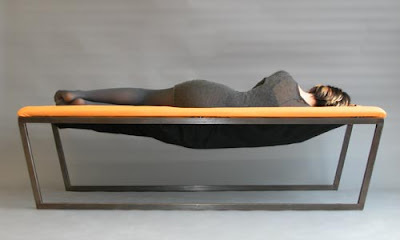 Magnetic Floating Bed: Designed by Janjaap Ruijssenaars, priced at 1.2 million euros, this magnetic floating bed can keep 900 kilograms floating in the air. 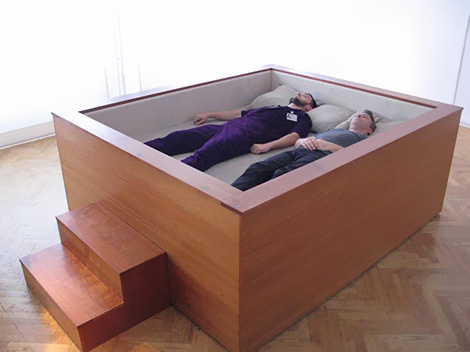 Geometric Bed: Ness faceted geometric bed by Jakob+MacFarlane. 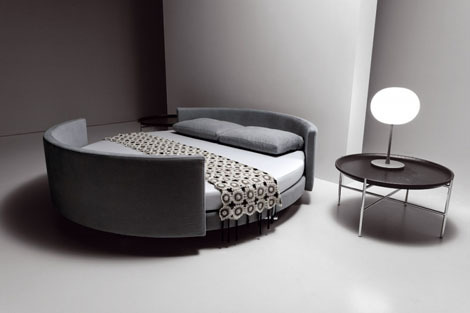 The Scoop Bed: An innovative and sophisticated design that combines the sofa function with the bed function. The two semi-circular sides of the bed can be separated resulting into two half-moon shaped seating; put it together and you get a glorious full-moon of a bed. 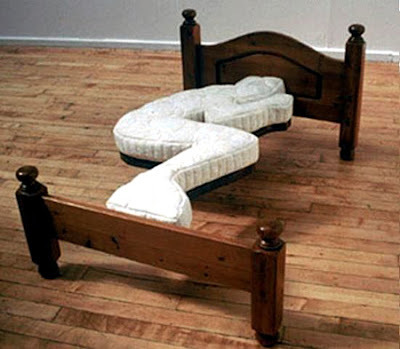 Unusual Bed: It looks like this is designed just for a specific sleeping position. 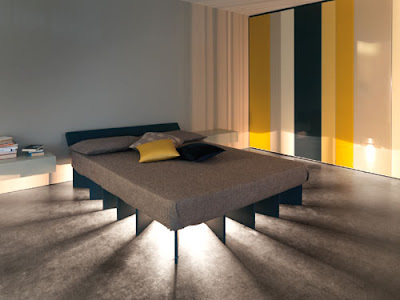 Beam Bed: It generates light from beneath the center of the bed and projects it throughout the room. 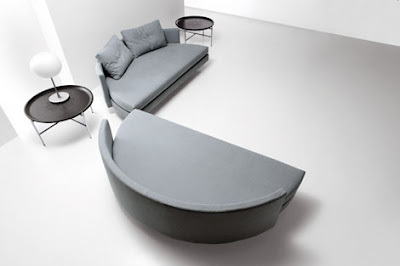 Embrace Lounge: Creative lounge by designer T Aguiñiga. 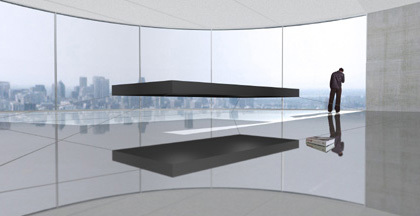 Floating Platform Bed: Cool floating platform bed designed by Wissmann. 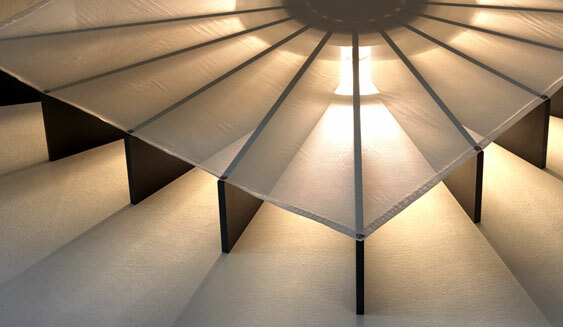 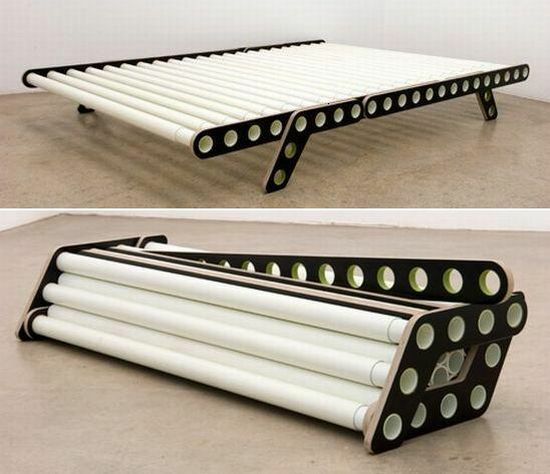 Spring Bed: Irrespective of the hardness of the mattress, the springs ensure a comfortable support. 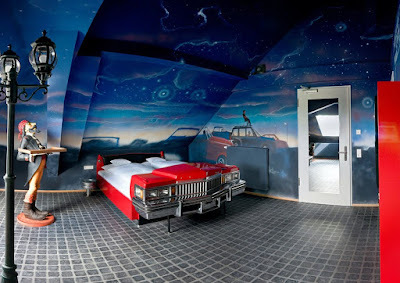 Car Bed: Creative bed created out of car parts for V8 Hotel. 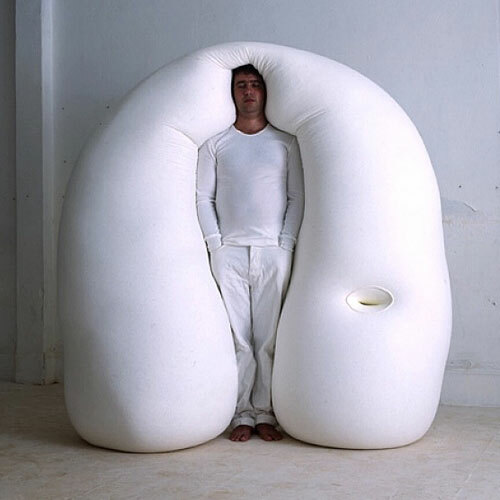 Vertical Bed: Designed by Ernesto Neto, it allows you to sleep standing up. 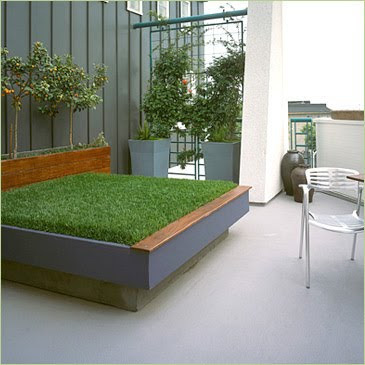 Grass Bed: For those who like to sleep in their garden. Foldable Bed: Designed by Nicola Enrico Stäubli, it uses fiberglass reinforced plastic tubes that can fold and adjust to different mattress sizes. 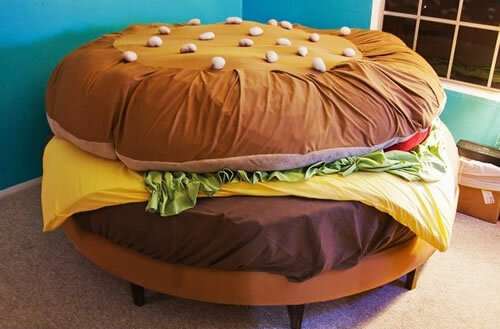 Don't miss to check out "Cool and Unusual Bed Designs - Part: 1| 2| 3."